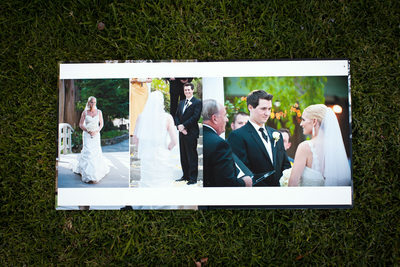 This is one of my favorite weddings from Calamigos Ranch in Malibu California. It is filled with details, love, and lots of pretty! Victoria and Tony met while attending school at UCLA and celebrated their 5th anniversary of dating on the day of their wedding. Tony is a talented video game designer, most recently for Call of Duty and Victoria is an event planner. 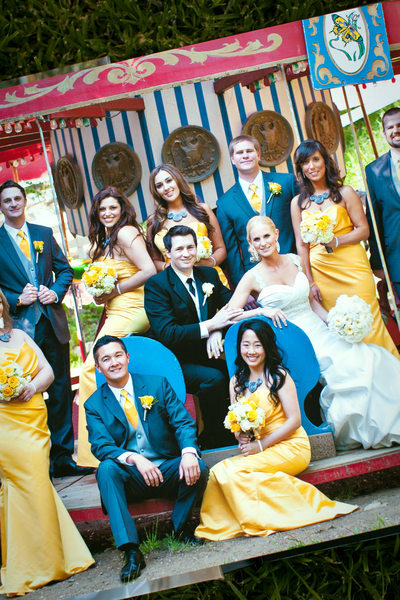 Their creative vision gave lots of fun and personal details through their day from incorporating UCLA's colors of yellow and blue, to the most epic wedding cake with custom groom's came in the shape of an XBOX, to grand sparkler exit. 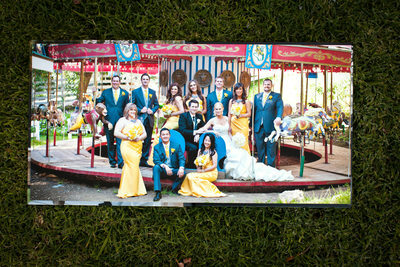 One of my favorite pages in the design is their double page spread with bridal party group shot set up at the carousel. I love that the book design does not split the images in the fold. Instead it is one solid page from side to side without disruption.